World War I Bridges - WW1 Centenary from the river Piave: Photos of animals in World War One: what about cats? 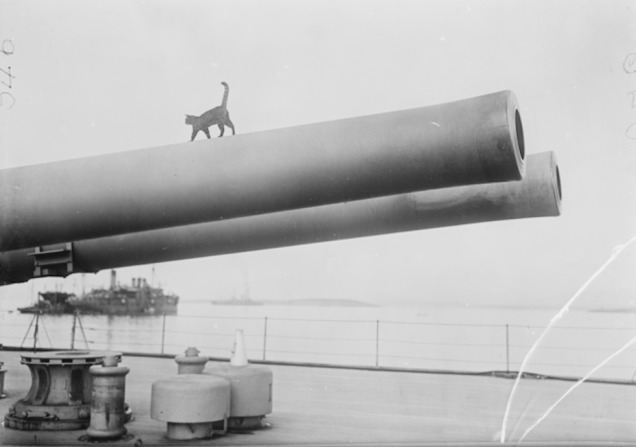 Photos of animals in World War One: what about cats? So far we have collected pictures of pigeons, foxes, camels, elephants, dogs and horses. Some of these animals were essential in the war everyday life while others were not. But what about the most common pet and its presence in World War One? 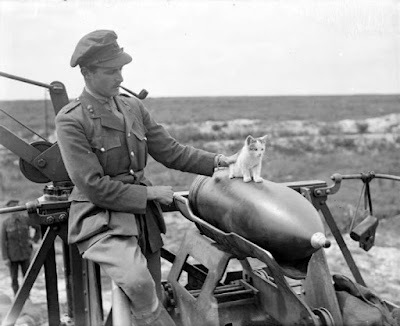 Cats appear in many photos of the war years and below we propose a short selection. 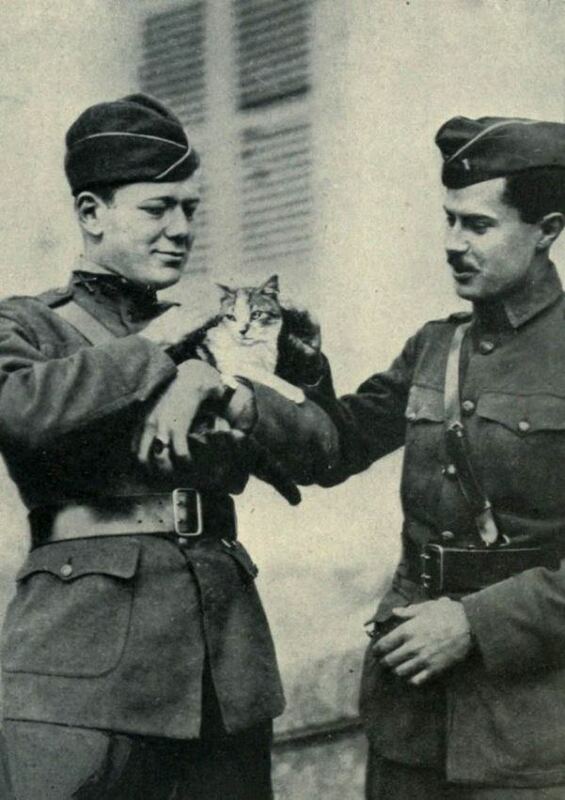 Like the case of the French soldier caressing the little fox that we examined months ago, the images of soldiers with cats were fundamentally taken in moments of rest and serenity. Seen as a series, this bunch of popular images casts light on a kind of backstage of the war, feeding a new imagery and iconography that we will find unchanged in many WWII soldiers' pictures.